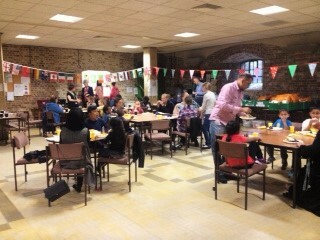 Well the school summer holidays are now well underway and so is our programme of much needed support, advice and fun activities for Tower Hamlets families facing isolation and food poverty. 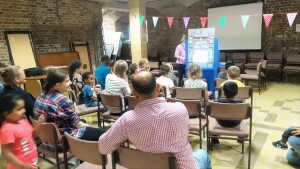 We had another fantastic LOVE Summer event which again, wouldn’t have been possible without the generosity and kindness of the Tower Hamlets community, our dedicated and enthusiastic volunteers, our LOVE Summer partners including Boots and Genesis Cinema, and sponsorship and support from WellsFargo. This week’s theme was Theatre & Entertainment and it certainly proved to be very theatrical and entertaining! 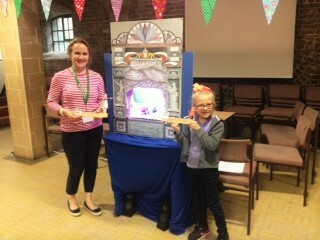 The families who came enjoyed the movie screenings and popcorn, and engaging in activities such as making a pop up card version of world famous local music hall, Wilton’s and watching an exciting Paper Theatre production. Each family also got to take home a free family cinema ticket so they can enjoy a movie screening of their choice, courtesy of the great Genesis Cinema team in Stepney Green. 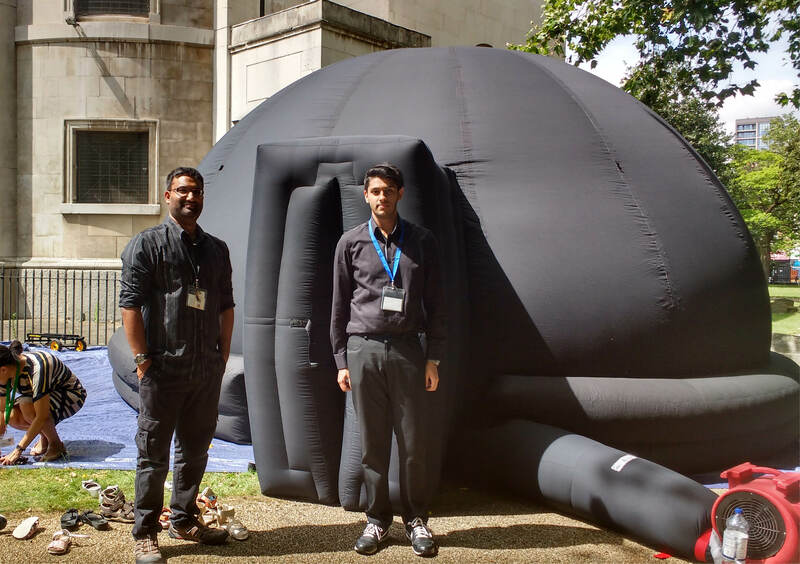 In addition to this, we also had our CPAG Welfare Advisor, Niz there to provide vulnerable families with a ‘benefits health-check’ to ensure that they were on track to get the full support they need and are entitled to. One parent who attended for the first time said, “it has been a brilliant day. 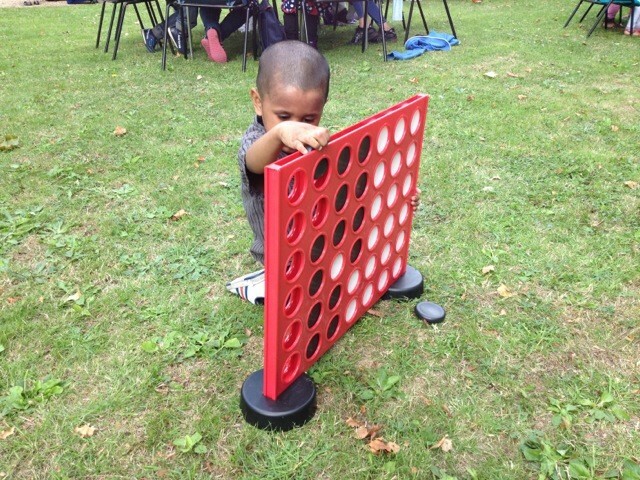 I’m overwhelmed by the food we have been given and the best part was seeing my son playing with new friends”. 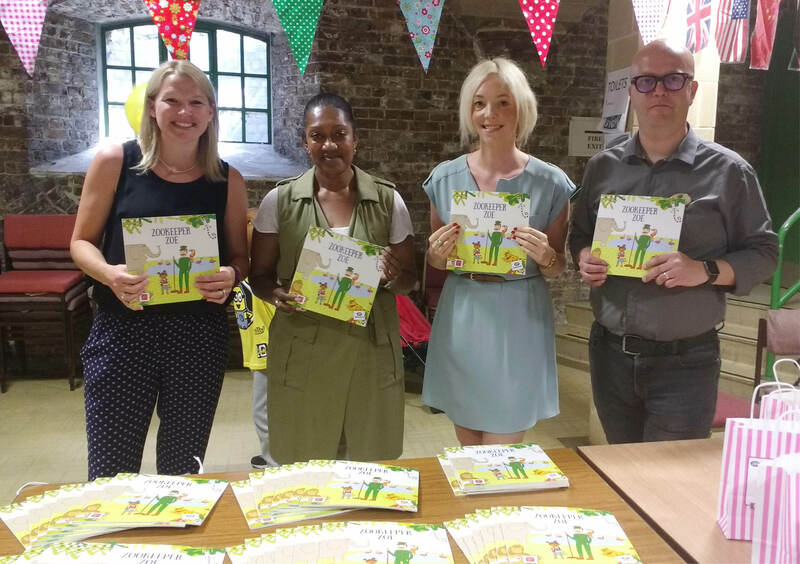 Debbie Pemberton, our Enabling Lives Programme Manager and LOVE Summer coordinator, was also encouraged that more families were able to attend this week. 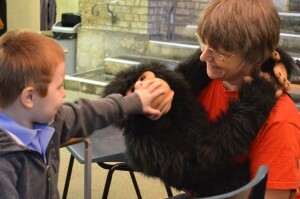 She was able to welcome new faces and reach out to vulnerable families to help reduce any feelings of isolation and the financial strain that arises during the school holidays. 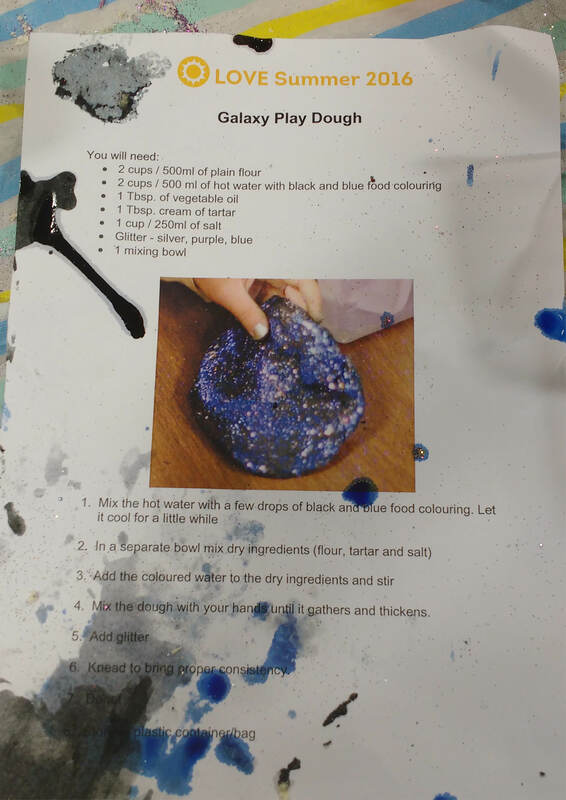 Debbie said, “it’s good to see parents and children enjoying the activities together and making new friends as this time of year can be quite isolating”. With the programme now heading for its third week, we are looking forward to the ‘Animals & Nature’ theme – complete with a creepy crawly creatures and farm animals! Thank you so much once again to all who have donated food, money or your time so that LOVE Summer can be a success. You can get involved and support families facing holiday hunger by texting ‘SUMR03 £3’ to 70070 and donate £3 right now! 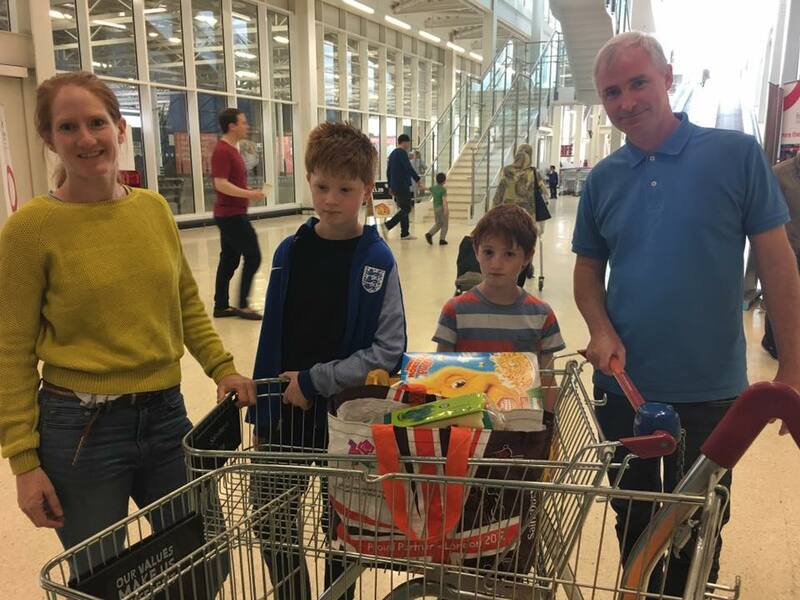 The summer holidays have officially started and it is now time to look out for those families in the community, who may be struggling from holiday hunger and isolation. 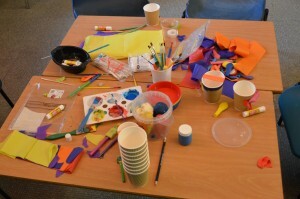 Our first event was a fantastic start to our LOVE Summer project and it wouldn’t have been possible without your help! 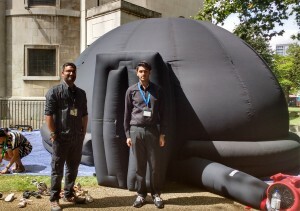 It was Science & Discovery week which included crazy science experiments and a pop up planetarium. 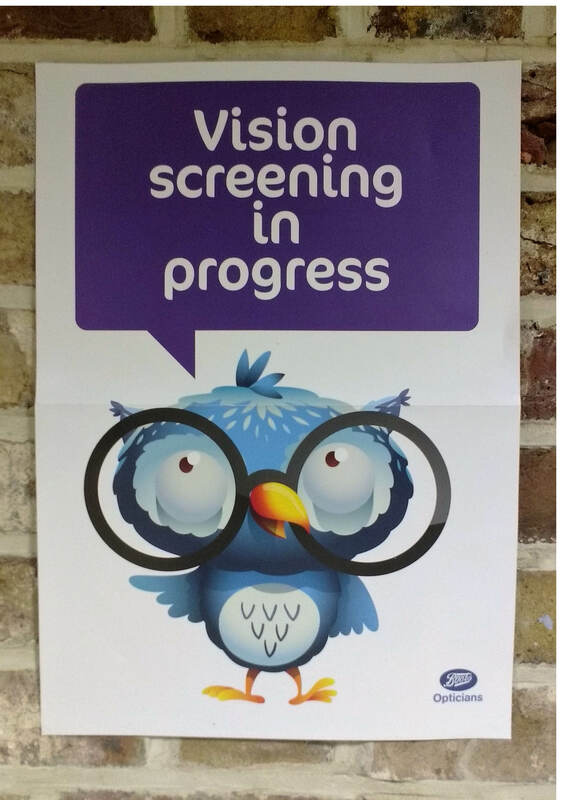 The children had the opportunity to get their eyes tested while they were there and pick up some activities to do at home. How did LOVE Summer go today? “Thank you to all of our volunteers. Louisa was amazing doing the galaxy play dough and Terene’s science experiments were really interesting”. Terene was referred to us a few years ago and we helped her get the support she was entitled to. Read her story here. Boots, one of our LOVE Summer partners and supporters this year, were there doing vision screening tests and giving out free eye-check story books. 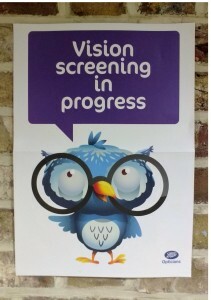 Fenna said, “Boots were amazing and got to identify some children who need further eye tests and treatments. Thank you to all who have donated food, money or your time so that LOVE Summer can be a success. You can get involved right now and support families facing holiday hunger by texting ‘SUMR03 £3’ to 70070 and donating £3! Who remembers turkey twizzlers? Square pizza? Potato cubes? Ice cream and jelly, anyone? Whether you have good or bad memories of school meals, they are a lifeline for many children in Tower Hamlets. There are 90 state schools in the borough. With 49% of children living in poverty, many pupils receive free school meals because their parents or guardian is on low income. But what happens to the children during the holidays without a good meal? Can the already tight family budget stretch to another five meals per week, per child? Or will there be people going hungry this summer? Each year we see parents go without food in order to provide meals for their children. Little or no money for activities and resources to keep the children entertained, can sometimes lead to a decrease in their well-being. It was facts like this that inspired us to start a summer scheme in 2012, now known as LOVE Summer, to make sure that summer is a time full of love, joy, fun, friendship and community… and not 6 weeks of hunger and isolation. 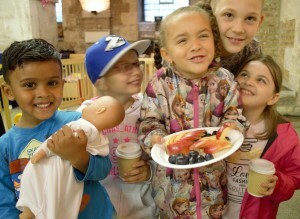 Can you donate just £3 today to tackle holiday hunger & isolation? Text ‘SUMR03 £3’ to 70070 and donate towards LOVE Summer today. 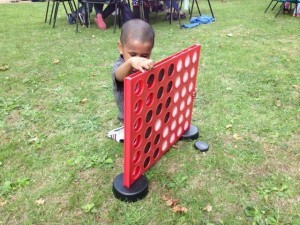 The money raised will ensure children in Tower Hamlets don’t go hungry this summer and that they have fun, are entertained and stimulated through learning and new experiences. It will also mean that their parents are not isolated without the daily interactions at the school gates. Everyone will have the opportunity to build relationships as well as getting any extra support needed from our project workers. “I like the activities for the children – my daughter really enjoys it. The information you can get there is also really useful”. LOVE Summer provides food support to families in Tower Hamlets who receive free school meals during term time, and might find the long stretch of summer difficult. The aim is to alleviate the financial strain on families who are affected by this extra expense. We want to make sure that families who are more vulnerable to isolation have access to enriching opportunities for their children. Families are nominated for LOVE Summer by a teacher or school family support officer who knows them and their situation well. We have some great activities, entertainment and weekly events planned this year for the children, teenagers and the adults that attend, including an Olympic special, science, discovery, animals, nature and arts themed sessions. Every week of the holidays, the families will also receive food support and goodies to take home to entertain and help them cope throughout the week. Follow us on Twitter or like us on Facebook to see pictures and updates from the sessions, and keep a look out for the weekly blogs! 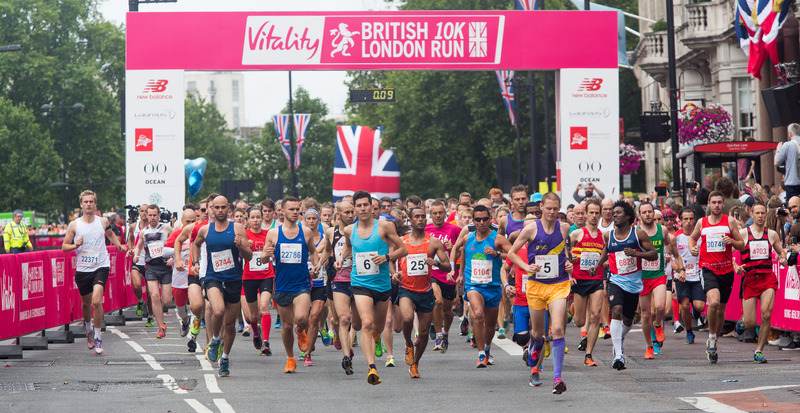 This Sunday, 10 July, there are 6 people on #TeamFirstLove running the British 10k London Run, one of the most iconic races of the year and one which passes by many of the capital’s historic landmarks. The amazing schools, churches, business and individuals in the borough donate tonnes of food every month to our Foodbank to help us tackle food poverty but it is our supporters who fundraise and donate that help us transform lives from crisis to sustainability. #TeamFirstLove are raising money so that people facing crisis can receive the help, advice and support they need to begin the journey towards a transformed life. No-one should face crisis alone and these 6 runners are doing their bit to make sure no one does. The team is made up of some of our most committed and longstanding volunteers, fundraisers and corporate partners… So a massive thank you Steve, Sue, Andy, Saskia, Elliott and Craig! Steve: I am from Calgary, Canada and have been in London for almost 4 years now…basically I traded snow for rain. I work for an energy company and I have a wife and one child, my son Aiden. We enjoy travelling, both abroad and also exploring all that the UK has to offer. Sue: Whilst not originally from London, I have lived here for most of my life and it is my favourite city in the world. I enjoy all that London has to offer from open spaces to tiny theatres. 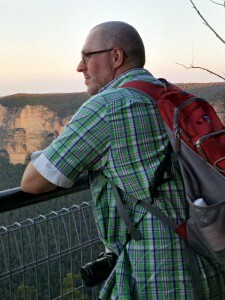 Andy: My name is Andy Beeching, 51 years old from Canterbury in Kent, married with 3 children. I am Head of Asset Control for IFCO SYSTEMS UK ltd, based in High Wycombe in Bucks. I am a keen runner and cyclist, an avid music fan and love travelling. How long have you been running? Is 10k a challenge? What is your plan for training? Steve: I have never run a 10k before, so this is indeed a challenge. I have run several 5k’s, so I guess my training plan is to train twice as hard as I did for those! Sue: I absolutely love running, have been a runner for many years and always enjoy raising money for worthwhile causes. 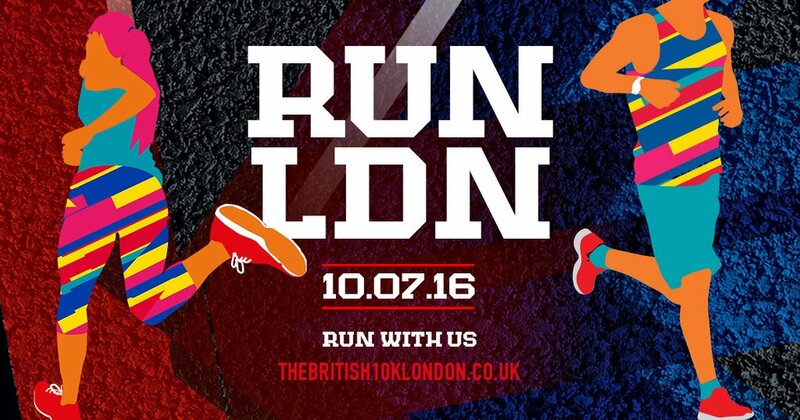 10k is a distance I am used to and in the Vitality 10k it will be about running with the team and ensuring everyone has a good time. If we have team members who are new to this distance, I am there to give them encouragement and I am confident we will all finish with a big cheer. Andy: I took up running about 4-5 years ago and worked up from 5k to half marathon level. However some health issues set me back and I am now starting again, working up from 5k to 10k. This will be a challenge for me, and one I am looking forward to. Currently I run 2 x 5 per week, and take spinning a couple of times a week where time permits. How did you first hear about First Love Foundation? Why did you want to get involved by fundraising? 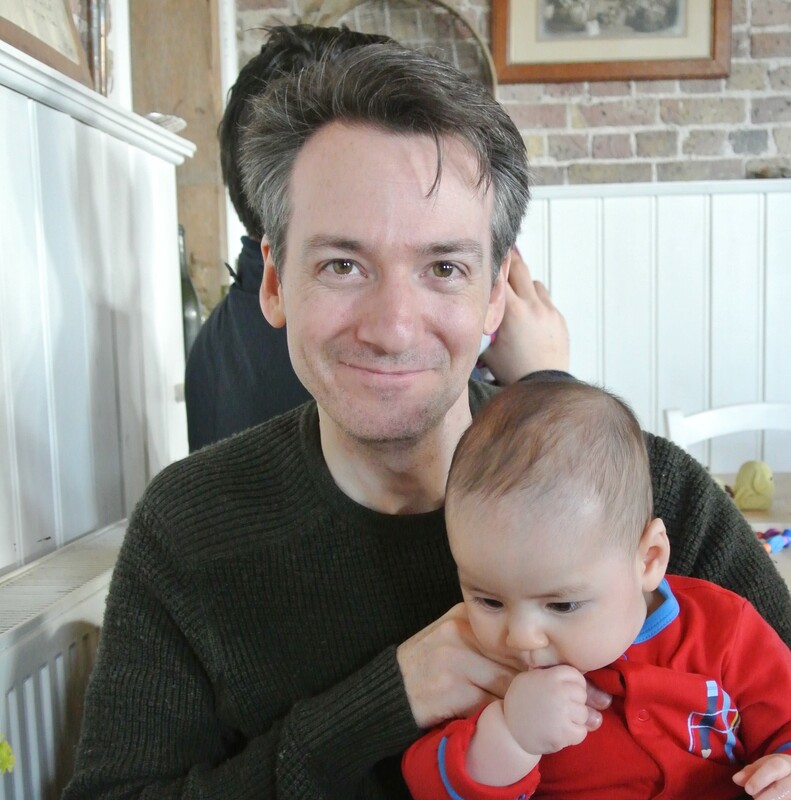 Steve: I have volunteered with First Love through Tower Hamlets Foodbank for several years. Now that I have a child I don’t have as many opportunities to volunteer as I would like. I am hoping to make a difference to this great foundation and the many people they support through this run. 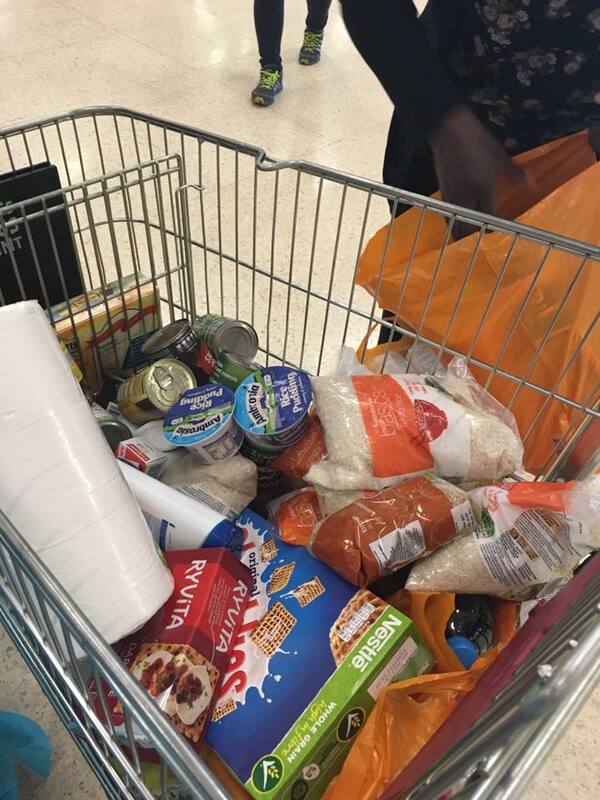 Sue: I have been a volunteer for the Tower Hamlets Foodbank for almost 5 years now. This is in my local community and I find volunteering very rewarding. 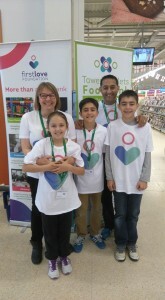 It is a great pleasure to work with the foodbank team and help them achieve their objectives and the objectives of First Love Foundation. Andy: Some years ago we were approached by Denise to see if we could loan some of our plastic crates to the Tower Hamlets Foodbank. We were at the start of our support for Foodbanks across the world, and our relationship has gone from strength to strength since then. Why should people sponsor you? Steve: People should sponsor me because they can rest assured their donation is being made to a wonderful cause. I have known Denise and others from First Love for some time now, and I can attest to their tireless efforts and sincere commitment to helping others in need. Sue: Those who sponsor me can be assured that their sponsorship will go to those who need it most, those who in the winter may have to choose between eating and heating. The heartfelt gratitude of those we support and give food donations to is humbling. Andy: Hunger is indiscriminate and you never know when you will need the support of those around you to make ends meet. It is incumbent upon all of us to help where we can and support those in our society who are in most need. Many of us are fortunate and have extensive family/friend support, but some do not. I was brought up to believe we should treat others how we would like to be treated ourselves, and to offer support to those who ask for it. Some may call it Christian principles, others may term it social responsibility. However we dress it up, we all have a duty of care to our fellow human beings. Please show your support and donate to transform Tower Hamlets: justgiving.com/first-love. 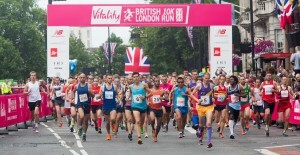 Follow us on Twitter and Facebook for photos and news from the race on Sunday! 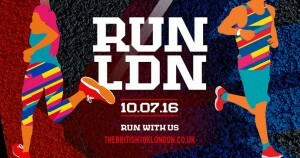 Contact us if you would like to join #TeamFirstLove next year in the British 10k London Run 2017! Last weekend we held a big food collection at Sainsbury’s Whitechapel and the generosity we saw from the customers was simply amazing! We were collecting food for our LOVE Summer scheme through which we provide food support to families in Tower Hamlets who receive Free School Meals during term time, and may find the long stretch of summer difficult to manage. Read our previous blog to find out more. During the weekend, people frequently gave us bags of food and only bought a couple of items for themselves. In spite of the challenges in the community, people still gave whatever they could. 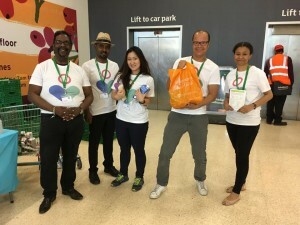 Sainsbury’s Whitechapel customers donated 1,971.4kg which equals 3,943 meals for 394 people! This is the most we have ever received from a supermarket collection before! And in addition, we also raised £152.88 in cash donations. Whether you were one of our volunteers, the welcoming Sainsbury’s staff and particularly, if you were able to donate food or money, thank you so much from everyone here at First Love Foundation. Your amazing contributions are fighting hidden hunger in Tower Hamlets and supporting more people as they look towards a hopeful future. But, our job is not finished and there is still so much more that needs to be done. If you are inspired by one of the answers above, it’s not too late to get involved. You can feed a family in Tower Hamlets by making a donation of food or donate money towards our LOVE Summer weekly activities & events. Click here to see the latest list of our most needed items. If you are able to organisation a collection in your community or workplace give us a call on 020 3069 9877 or email info@firstlovefoundation.org.uk for more information and to get some posters to help with your collection. We also have a permanent collection box near the tills in the Sainsbury’s Whitechapel where donations of food can be left all year round. Please ask a member of Sainsbury’s staff for more details. To see more photos from the weekend, head over to our Twitter feed or Facebook page.